Dr. Zoryana Brodsky looks forward to coming to work every day. Spending her time caring for people from all walks of life, and getting to know each on an individual level is rewarding. She focuses on building long-term relationships with her patients, learning about their lives and interests, while addressing their dental needs. Dr. Brodsky is passionate about preventing dental problems. 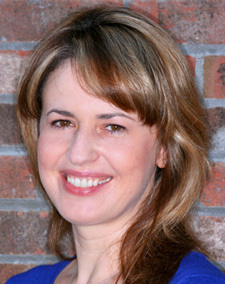 Believing it’s essential to form a partnership with her patients, Dr. Brodsky educates each about their unique oral health situation. She then provides them the tools and information they need to be active participants in their dental health. Each patient is important to Dr. Brodsky. She loves the stories they share and being include in their confidences. Dr. Brodsky especially likes being in a dental and orthodontic practice where she gets to care for whole families, from children through their parents and grandparents. Many of them feel like family members to her, and she is honored to be part of their lives. Each month, Dr. Brodsky takes multiple continuing education (CE) classes in order to stay current on dental innovations and the latest technologies. She enjoys learning from the leaders in her field, as well as interacting with and exchanging ideas with her peers. Dr. Brodsky knows it is critical to stay up to date, so she is ready to offer her patients the best options to address their dental needs. Dr. Brodsky was born in Ukraine and immigrated to the United States when she was a teenager. She now lives in Dublin with her husband, Dr. Anatoly Brodsky, a physician at Kaiser, and their three children. When she’s not working, Dr. Brodsky prefers to spend her time with her family. She is involved with many of her children’s activities, and volunteers at their schools as well as with her church. Traveling, reading, watching movies, and being with friends are among Dr. Brodsky’s other interests.